(TriceEdneyWire.com) - The rapid expansion of legal sports betting nationwide hit a stumbling block in Oregon last week over concerns about the International operations of a company chosen to manage the state’s sports betting program. which employs a strikingly high number of African-Americans and other racial and ethnic minority employees. Black and other workers of color make up 40 percent of the gambling industry’s workforce, per the American Gaming Association. “Our industry’s remarkable progress is another reminder of the integral role gaming plays in communities across the country, providing rewarding careers and enabling small business success,” American Gaming Association President and CEO Bill Miller wrote in February. Legal sports betting has become increasingly widespread following a US Supreme Court ruling last year allowing states to legalize the activity, particularly on the East Coast. Oregon is set to become one of the first Western states to offer legalized sports gambling, which state officials have said they hope to introduce by the start of the 2019 NFL season. 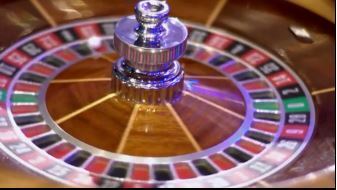 The plan may have hit a snag recently due to concerns over the state’s chosen gambling services contractor, SBTech, a European company that provides online gaming platforms in countries across the globe. SBTech recently has drawn scrutiny over its relationships with gaming industry operators in Iran, which is under a broad range of economic sanctions from the US. A new round of sanctions, which went into effect in early November, required all companies that operate in the US to cease business relationships in Iran. Industry analysts have noted that the new sanctions could pose a problem for SBTech and other companies with alleged relationships to companies that provide gambling services in Iran. Last week, one of the losing bidders for the Oregon contract, SG Digital, lodged a formal protest of SBTech’s bid that raised questions about the company’s character and fitness. The bid protest, based on sources with direct knowledge of the project, does not make direct reference to any Iran ties, but requests that the state investigate whether SBTech has operated in jurisdictions where sports betting and other gambling activities are still illegal. Oregon Lottery announced SBTech as its preferred vendor on March 22, and the company was slated to enter contract negotiations with the state last week. On April 5, the Oregon State Lottery Commission voted to allow the Oregon Lottery to begin negotiations with SBTech in preparation for a possible contract. But fielding questions from commissioners, Farshad Allahdadi, chief gaming operations officer at the Lottery, said "final contract terms, duration and conditions are currently under negotiations." He added that the Oregon Lottery personnel will "finalize its security and due diligence investigation" by April 19. The investigation will include a review of SBTech's "key personnel, ownership, organizational structure, affiliate relationships and finances," Allahdadi said. "We are well on the way in our background check process. We have done a lot of our review and feel at this point, preliminarily that there are no issues that would prevent us from entering into a contract. However, as I indicated, we still have a couple of weeks left in our process to finalize our due diligence." The Commission is scheduled to hold another special meeting on April 26. The Oregon state lottery has estimated that the state’s sports betting industry could generate up to $120 million annually if it reaches its full potential. Until last year, sports gambling was widely restricted in the US under the Professional and Amateur Sports Protection Act of 1992 (PAPSA). The law was invalidated by the Supreme Court in May 2018, following a multi-year court battle brought by New Jersey. Under PAPSA, Oregon was permitted to continue offering a limited form of gambling on NFL games that it offered prior to the law's passage. The state chose to discontinue the game in 2007 in an effort to recruit the NCAA to host tournament games in the state.